All was well as the European Space Agency's robotic explorer Schiaparelli closed in on its Mars landing on Wednesday. Data coming back to Earth showed that the robotic lander entered the Martian atmosphere as expected. Its parachute opened to slow its descent. And then it went silent as the lander's signal stopped. 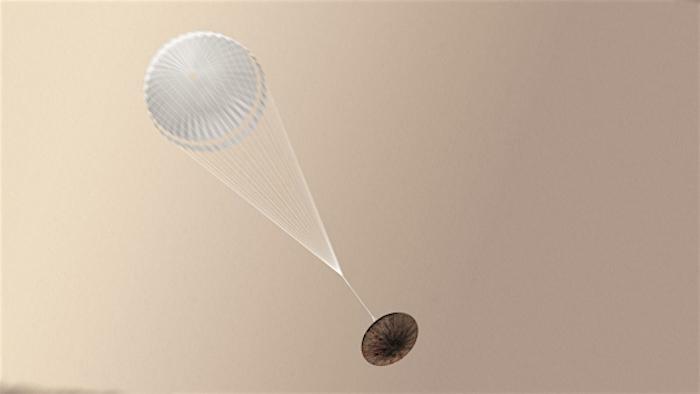 At the point that Schiaparelli, which was launched with the ExoMars Trace Gas Orbiter on March 14, should have been about to touch down on the Martian surface, it was lost. The European Space Agency (ESA) also isn't receiving any landing data from an array of telescopes or a Mars orbiter. Scientists at the ESA, however, aren't yet calling this a loss. Speaking at a news conference Thursday, David Parker, ESA's Director of Human Spaceflight and Robotic Exploration, said the sheer amount of data they've received back from this experimental mission made the effort worth it, even if Schiaparelli was lost during landing. "In terms of the Schiaparelli test module, we have data coming back that allow us to fully understand the steps that did occur, and why the soft landing did not occur," Parker said. "From the engineering standpoint, it's what we want from a test, and we have extremely valuable data to work with. We will have an inquiry board to dig deeper into the data and we cannot speculate further at this time." The ESA noted that its scientists have already begun looking for clues about what happened to their explorer. Schiaparelli is an experimental robotic module, designed to test the space agency's technology and capabilities to have a craft enter the Marian atmosphere, descend and land safely on the planet. While NASA has been operating robotic rovers on the Martian surface, the ESA is working on joining in. If the landing had been successful, the robot was designed to operate for two to four Martian days doing scientific experiments.